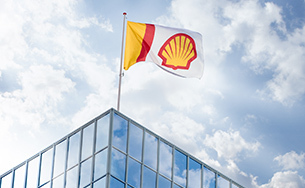 Deep water is a growth priority for Shell. We have advantaged positions in Brazil, the Gulf of Mexico, Nigeria and Malaysia – with substantial and profitable growth potential. We believe our global deep-water production from already discovered fields is on track to exceed 900 thousand barrels of oil per day by 2020 and investment between $5 billion and $6 billion a year. 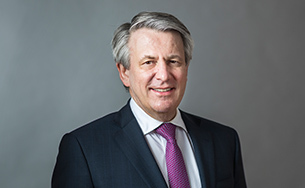 We expect to deliver between $6 billion and $7 billion of organic free cash flow in the years 2019 to 2021 at $60 per barrel (real terms 2016). Near-field exploration could add further growth, such as from our announced Whale discovery in the Gulf of Mexico. We are assessing development options for Whale and could take a final investment decision in 2020. We have shaped our deep-water business with economically resilient projects that are scoped, designed and safely operated to meet market conditions with an average forward-looking break-even price for pre-FID projects that we believe is less than $30 per barrel [A]. More than 40 years ago, we pioneered deep-water development in the US Gulf of Mexico and have since led the industry on technological achievements. We remain focused on safely starting production from our Appomattox project, which saw an approximate 40% cost reduction since the FID was taken. In addition, we have seven other major producing assets in the Gulf of Mexico with subsea tie-back connections to several fields. In 2018, we sanctioned the Vito project, which is planned to achieve a peak production of 100,000 barrels of oil per day and estimated to have 300 million boe of recoverable resources, the forward-looking break-even price is below $35 per barrel. We also started production at Kaikias, a subsea project with a forward-looking break-even price below $30 per barrel and an expected gross peak production of 40,000 barrels per day. In Brazil, we deliver approximately 45% of our global deep-water production from operated and non-operated assets. We have significant acreage in the Santos Basin Pre-Salt, which is one of the best deep-water provinces with low break-even prices and continued growth potential, with new floating production, storage and offloading (FPSO) vessels planned through the early 2020s. We have interests in 15 FPSOs, of which 13 FPSOs are currently operating in the Santos Basin, including two that began production recently in Lula. We recently expanded our operated footprint with additional deep-water exploration blocks in the Campos, Potiguar and Santos basins. 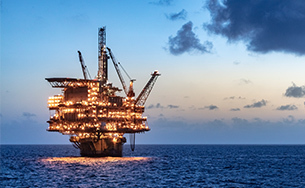 In Mexico, Shell won nine deep-water exploration blocks in 2018 – four on its own, one with partner Pemex Exploración y Producción and four with partner Qatar Petroleum International Limited. Shell is the operator of all nine blocks. The geography of deep-water resources offshore Mexico allows us to benefit from, and build upon, decades of leadership and expertise in the US Gulf of Mexico, complementing our position in the region. Shell has been in Nigeria for more than 50 years and the country remains an important part of our deep-water portfolio, with clear growth potential. The Shell-operated Bonga field was Nigeria’s first deep-water development in depths of more than 1,000 metres; it began production in 2005 and has produced more than 600 million barrels of oil. We brought the Bonga North West deep-water tie-back on stream in 2014. In 2015, we increased production after completing the third phase of infill drilling from the Bonga Main field. With a 125-year history in Malaysia, Shell pioneered the oil and gas industry in the country and fuelled its growth. Offshore Malaysia, Shell operates five producing oil fields, including the Gumusut-Kakap deep-water field where production began in 2014. 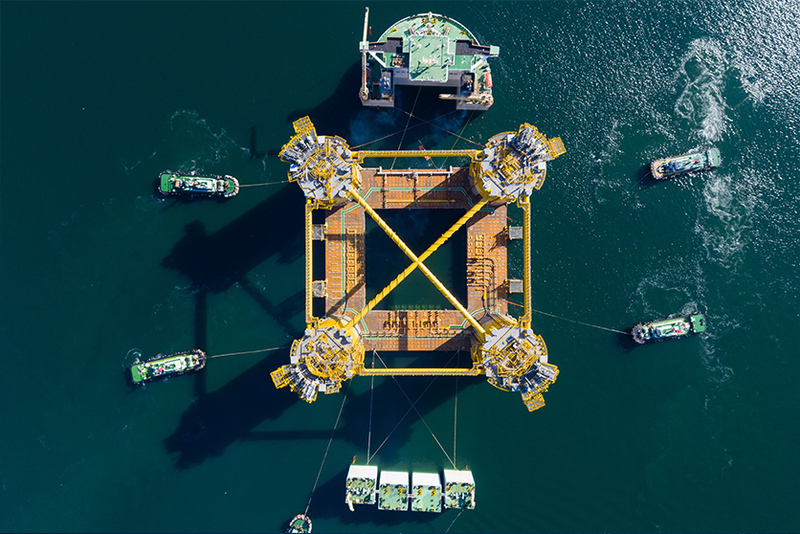 Malikai, Shell’s second deep-water project in Malaysia, features the country’s first tension-leg platform and began production in 2016. Shell also continues its deep-water exploration programme offshore Malaysia. [A] The forward-looking break-even price for pre-FID projects is calculated based on all forward-looking costs associated with pre-FID projects in our development portfolio. Accordingly, this typically excludes exploration and appraisal costs, lease bonuses, exploration seismic and exploration-team overhead costs. The forward-looking break-even price for pre-FID projects is calculated based on our estimate of resources volumes that are currently classified as 2C under the Society of Petroleum Engineers’ Resource Classification System. As these pre-FID projects are expected to be multi-decade producing projects, the less than $30 per barrel projection will not be reflected either in earnings or cash flow in the next five years.